Yeah I'm Groovy is the perfect name for our shop this week. Featuring affordable vintage and handmade goods this shop is stock full of retro, diva inspired, Kawaii with a big dose of fun thrown in for good measure. 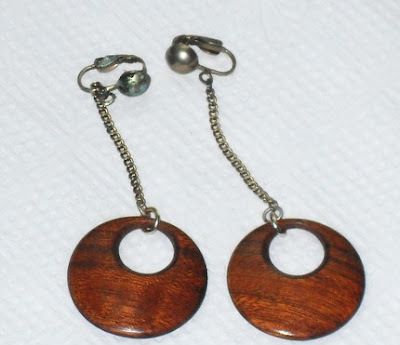 These dark brown wood circle earrings scream Donna Summer don't they!? 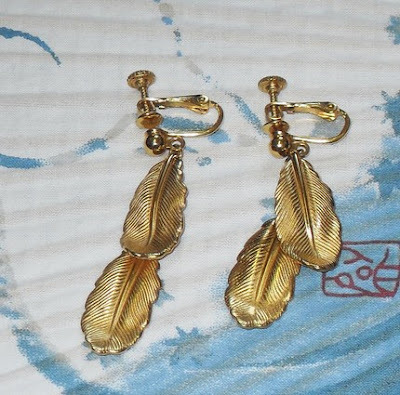 Perfect for your collection of vintage jewelry. 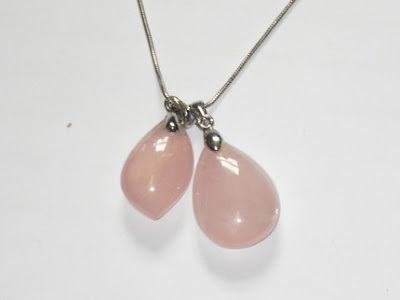 The authentic pink quartz makes this a beautiful piece of costume jewelry! 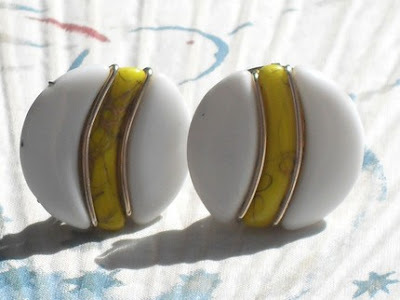 These funky clip on earrings make for a great statement piece! 1. Check out Yeah I'm Groovy and come back here to make a comment about your favorite item. Entries will be accepted through Saturday. Check back Sunday to see if you are lucky winner. Those wooden earrings look interesting. I wonder if my neice would like them. I bet she would Intense Guy! Hope you are having a great day! Cool shop! I like "What I Think Of Love Super Retro Kitsch Dangle Earrings Cloud Heart" oh man, I forgot to check if they were $5 or under! I gotta go back! and yes I follow you!! !